India’s external vulnerability indicators have witnessed some signs of stress in the recent period, reflecting the impact of a deepening euro-zone sovereign debt crisis and the global slowdown. Global economic risks could rise further with a weakening recovery, sluggish growth prospects and continuing high debt and gross financing needs in several advanced economies. Aggravation of external sector risks is reflected in upward movement in India’s current account deficit, falling reserve cover for imports and external debt, depreciating rupee exchange rate, rising levels of external debt and the increasing share of short-term and commercial borrowing in total external debt. However, despite these developments, India’s external debt has remained within manageable limits. This is indicated by the external debt to GDP ratio of 20.0 per cent and the debt service ratio of 6.0 per cent in 2011-12. A cross country comparison also shows that India continues to be among the less vulnerable countries with its external debt indicators comparing well with other indebted countries. The Prime Minister, Dr. Manmohan Singh, has condoled the passing away of Dr. Verghese Kurien. Following is the text of the Prime Minister’s message: "It is with great sorrow that I learnt of the sad demise of your husband, Dr. Verghese Kurien. Dr. Kurien was an outstanding and innovative manager and an exceptional human being. His contribution to the welfare of the farmer and agricultural production and development of the country is immeasurable. Dr Kurien was an icon of India’s cooperative movement and the dairy industry. In his long and illustrious career, Dr. Kurien set up the Anand model of cooperative dairy development, engineered the White Revolution, and made India the largest milk producer in the world. His greatest contribution was to give a position of pre-eminence to the farmer and his or her interests rather than those of middlemen. Government is promoting use of bio-fertilizers through a Central Sector Scheme National Project on Organic Farming (NPOF) for setting up of new or strengthening of existing bio-fertilizer production units, technology transfer and training etc. To ensure quality of bio-fertilizer – Rhizobium, Azotobacter, Azospirillium, Phosphate Solubilising Bacteria, Potash Mobilising Bacteria, Zinc Solubilising Bacteria and Mycrorhizal bio-fertilisers have been incorporated in Fertilizer Control Order, 1985. Financial assistance is provided as back ended subsidy through NABARD for setting up/strengthening of existing bio-fertilizers and / or bio-pesticide production units, assistance upto 25% of total financial outlay or Rs. 40.00 lakh, whichever is less. The Union Cabinet approved relaxation of Cabotage Policy under the Merchant Shipping Act, 1958 for transshipment of Export-Import (EXIM) containers to and from the International Container Transshipment Terminal (ICTT) at Vallarpadam, Cochin. As per the Cabotage Policy, no foreign ship can engage in coasting trade in India (trade between ports in India) except under a licence from the DG (Shipping). This restriction is one of the main factors that discourages the mainline foreign vessels from calling at ICTT, Vallarpadam. The primary objective of relaxation in Cabotage Policy is for ICTT, Vallarpadam to attract cargo destined for Indian ports which are presently being transshipped at Colombo and other foreign ports. This initiative is expected to promote transshipment of Indian cargo from ICTT, Vallarpadam and reduce dependence on nearby foreign ports. The Indian container traffic has seen a steady growth over the years. Despite this, more than half of the container traffic of India is being transshipped at ports outside India mainly at Colombo, Singapore, Salalah and Jebel Ali. This is because India had no port near international sea routes to handle large mainline vessels. Cochin Port enjoys nearly the same locational advantage as Colombo port with a mere 76 nautical miles deviation from the main East West shipping route. Therefore, in order to attract mainline vessels for transshipment of Indian containers at ICTT, Vallarpadam, the present relaxation in Cabotage Policy has been given. The Union Cabinet has approved a new Centrally Sponsored Scheme of Pre-Matric Scholarship for Scheduled Tribe (ST) students, studying in Class IX & X. The decision will go a long way in improving participation of ST students enrolled full time in secondary education in Government schools or in a school recognised by Government or a Central/State Board of Secondary Education, whose parents` annual income does not exceed Rs two lakh. The Scheme will help in minimizing the incidence of dropout, especially in transition from the elementary to secondary stage of education. About 22 lakh ST students are estimated to be covered under the Scheme every year during the XII Five year Plan. The Scheme which will be introduced w.e.f. 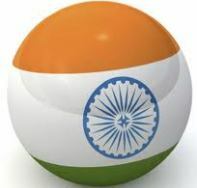 1.7.2012 will be implemented through State Governments and Union Territory Administration. The implementing agencies will receive 100 percent Central assistance from the Government of India for expenditure under the Scheme over and above their committed liability. An 18 lakh litres per day capacity desalination plant operating on the Reverse Osmosis (RO) process has been setup, as part of Nuclear Desalination Demonstration Project (NDDP) at Kalpakkam, Tamil Nadu. Another plant, a Multi-Stage Flash (MSF) Desalination Plant with a capacity of 45 lakh litres per day has also been setup at Kalpakkam as a part of NDDP. It is located adjacent to Madras Atomic Power Station (MAPS) and uses low pressure steam as energy input for MSF desalination plant. The hybrid MSF-RO plant is operated to produce distilled water for high end industrial applications and potable water for drinking and other applications. The per litre cost of conversion of seawater into potable water by atomic energy varies between 5 & 10 paise depending on site conditions, end product quality and the technology in use. The Integrated Child Protection Scheme (ICPS), which inter-alia aims to provide rehabilitation services to children in difficult circumstances, including such children is being implemented by the Ministry of Women and Child Development. Under this Scheme financial assistance is provided to State Governments/UT Administrations for setting up of and maintenance of Open Shelters, either by themselves or through voluntary organisations, for short-term community based care and shelter for such children, which include contact points at railway stations, bus stands, crowded market areas etc. The Scheme also provides grants for Homes of various types for children in difficult circumstances. Children requiring long-term stay and other rehabilitation facilities are referred to Children’s Homes. This post contains the current affairs of September 2012. These are short current affairs 2012 notes compiled from PIB for quick review.